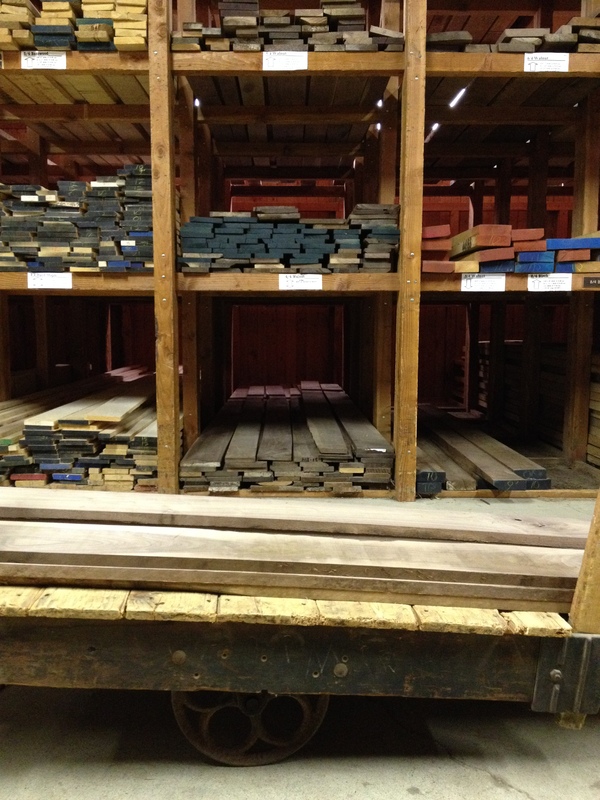 Selecting walnut boards at Armstrong Millworks in Highland, Michigan. The Last Supper Table is being crafted out of hardwood. Years ago, we wanted to understand our medium in greater depth so we searched for its origins. Armed with the simple awareness that hardwood starts at the tree, we searched for the forest. We arrived at Pike Lumber Company in Indiana. We walked the entire process from forest to sawmill to kiln to warehouse in awe. Years later, we reached back out to Pike Lumber Company to help us with the Last Supper Table. 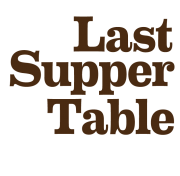 They, again, held our hands – this time navigating a course that led us full circle to our local lumber provider, Armstrong Millworks, while connecting us to someone rather special in between: the Last Supper Table’s first apostle. A person we had never met in a city we had never visited became Apostle No. 1, generously donating enough lumber, through Armstrong, for 30′ of table top. His identity will be revealed at the Last Supper and we look forward to announcing the sponsorship before ArtPrize begins. Apostle No. 1, you have our absolute gratitude and we look forward to meeting you. In the meantime, know that your support translated to thirteen 12′ boards of the most beautiful 4/4 walnut.